Too early to say whether Microsoft Surface can match-up to the touch interface, stunning Retina display and HD video streaming of Apple’s new iPad, but one thing is acceptable that it has created much needed hype among tech enthusiasts and bloggers. The former CEO of Microsoft, Steve Ballmer in the keynote presentation said that Windows 8 Surface perfectly meets all your work and entertainment needs. Based on storage and connectivity options Surface by Microsoft may be having a little edge but Apple’s iPad with a native resolution of 2048 x 1536 pixels without a doubt gives more sharper images than Microsoft Surface’s expected resolution of 1366 x 768. Also the new iPad boasts 5 MP iSight Camera and HD video with In-Plane Switching (IPS) technology which significantly improves viewing angles making it an ideal pick for watching movies, playing games and browsing the web. Microsoft’s tablet called Surface is widely considered to be a direct competitor to Apple’s iPad. Now lets go through the various features and specifications of Microsoft Surface and compare it with Apple iPad. Apple’s iPad 3 has a display screen of 9.7 inches with LED-backlit IPS widescreen Retina display and has a resolution of 2048 x 1536 pixels which is great for reading books, watching movies and playing video games. Whereas Microsoft Surface display screen is 10.6 inches with ClearType HD display and has a resolution of 1366 x 768. Apple’s iPad 3 has the sharpest of resolution. Regarding size, the Apple iPad 3 weighs 652 grams and has a thickness of 9.4 mm, whereas Microsoft Surface thickness is 9.3 mm and weighs 676 grams. The Surface is made of Magnesium metal, whereas iPad has Aluminium chassis. New iPad 3 works on iOS 5 and has support for thousand of apps available in iTunes Store. Whereas Surface will work on Windows 8 OS. 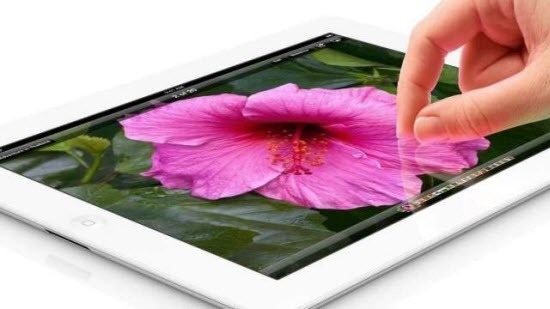 iPad 3 is powered with 1 GHz Cortex-A9 dual-core processor, Apple A5X Chipset, and PowerVR SGX543MP4 quad-core graphics processor perfect for playing games and videos. Microsoft Surface has Tegra 3 processor with Ivy Bridge Core i5. option for expandable memory. The Surface has a storage option of 32GB and 64GB with expandable memory available through MicroSD card. Apple’s new iPad 3 has a battery of 11560mAh which offers 10 hours of battery usage. The battery of the Microsoft Surface tablet also lasts up to 10 hours on full charge. Microsoft Surface has an integrated 31 Wh battery, which is larger than what’s in the iPad 2 but smaller than Apple iPad 3. Though we don’t use tablet to take photos that much but still iPad 3 has rear camera of 5MP and front facing camera of 2MP. Microsoft Surface sports dual camera – 1.2MP primary camera on the rear and a 1.2MP front camera for selfies. iPad has no option of transferring data to other device except to iPad whereas Surface has microSD card, USB 2.0 port and HDMI-out. Both Surface and iPad are Wi-Fi enabled. Surface has smart keyboard whereas iPad has smart cover. Smart Keyboard gives it a upper hand as users can use it as a notebook computer. A 16GB Apple iPad 3 is priced at 499 US$ whereas Microsoft Surface is priced at 599 US$. No doubt that iPad has a huge collection of apps and is ideal for watching movies, playing games and writing blogs. Microsoft Surface with its powerful specs and unique design will also be appreciated by many users. iPad lacks support for flash and keyboard. So according to me Microsoft Surface is the winner and a better option compared to Apple iPad 3. New iPad 3 or Microsoft Surface which is a better tablet according to you? If Your iPad Is Disabled, Full Solution in Here!